The unpolluted ocean waters also allow for better views, and walking along the beach at the edge of the tide can create the most stunning footprints you’ll ever make, hence the craze among the locals. 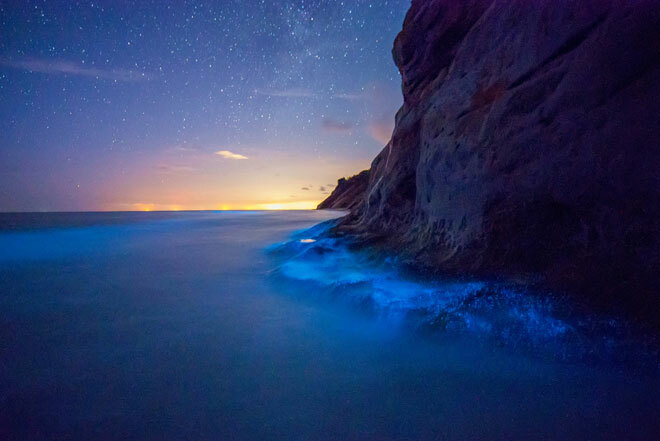 MIRI: Blue Tears is a stunning sight of glowing ocean waters with luminous special effects said to be found in places like Matsu Islands of Taiwan, Vaadhoo Beach on the island of Maldives as well as sites like the coastal beaches in USA, the Caribbean, Europe and Australia. But do you know that Mirians can now enjoy the incredible sight at Tusan Beach, just a short drive of half an hour from Miri City. 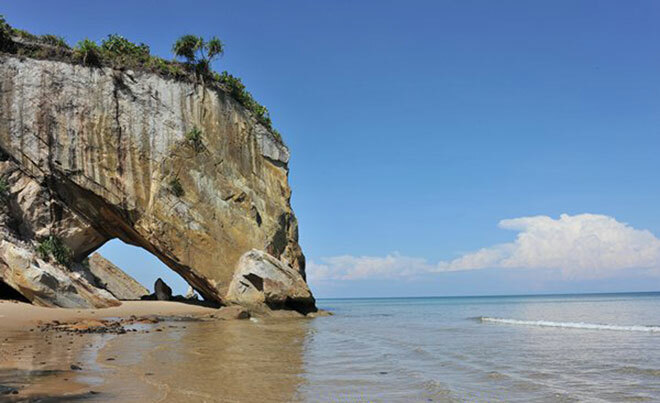 Located approximately 40 km from the city, Tusan Beach boasts a long white sandy beach with a gentle slope and is a secret paradise for those who love beautiful sunset scenery and of course, the dozens of fossils and seashells lying across the coastal line which shell collectors find hard to resist. Recently, it has become the latest hotspot among the locals here; after a photographer, Albert Song, captured the breath-taking scene and shared it on the social network. “Actually the natural phenomenon is easily seen with naked eyes. Many who tried to capture the ‘Blue Tears’ on camera failed to get the desired result due to many reasons and photography skills is one of them,” a photography enthusiast who only wanted to be identified as Wong told The Borneo Post. 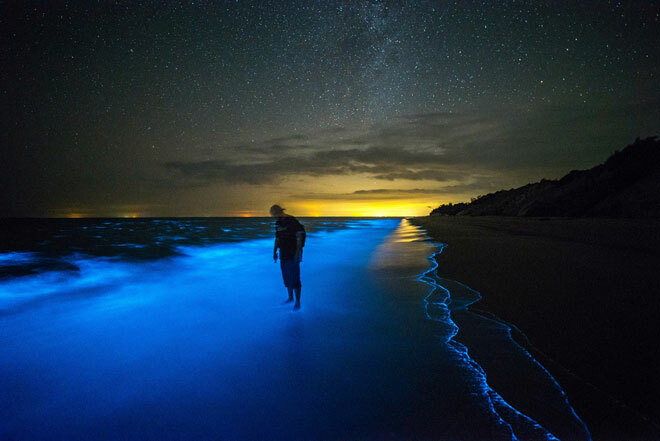 “The glowing waters are caused by certain algae called ‘Dinoflagellates’, which produce a glowing light when the water they are living in is disturbed by motion, like waves. “The so-called blue glow is said to become brighter during warmer weather, thus Miri has all the factors that allow us here to enjoy the beautiful and captivating scene without spending big bucks,” he said. Tusan Beach, according to him, is a newfound paradise yet to see any development like street-lighting, tar-sealed road etc; making the long-ride just to witness the Blue Tears actually quite intriguing. “Unlike Miri’s popular beaches — Tanjong Lobang and Luak Esplanade — which attract hundreds of visitors during weekends and public holidays, Tusan Beach is harder to reach. Hence, it remains ‘untouched’ which I guess is good. 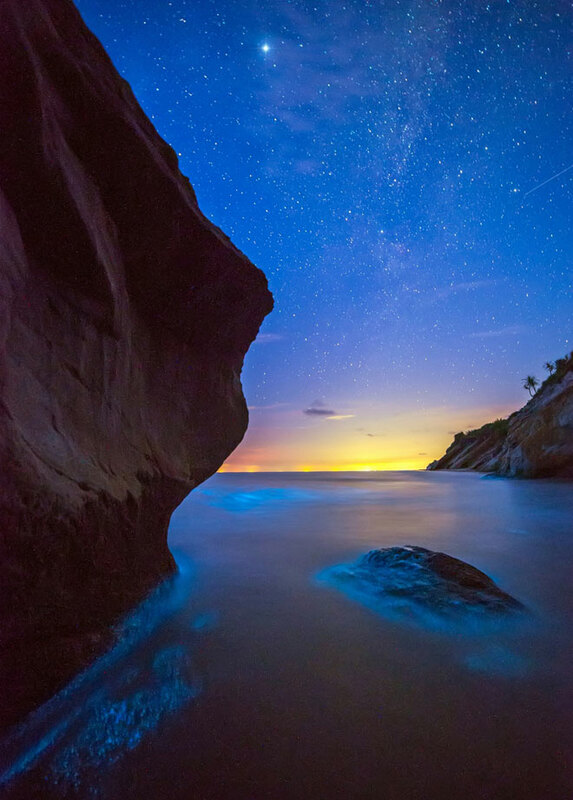 Tusan Beach has become the latest hotspot among the locals after a photographer, Albert Song, captured the breath-taking scene of ‘Blue Tears’ and shared it on the social network. Wong expressed his concern over the publicity, urging visitors to Tusan beach to keep the pristine beach immaculate. increase. Without any awareness, it would soon become not so beautiful anymore and I’m sure everyone would rather prefer it to be clean, unspoilt and beautiful,” he said.